Robert Carnell, chief economist at ING, explains that in what was a remarkably steady year for Singapore’s economic growth, final quarter of GDP growth printed a figure of 1.6% QoQ. A SUGAR tax, incentives for green investment, and a tax regime that is friendlier to startups are among Deloitte Singapore’s Budget 2019 recommendations, released on Thursday. Singapore’s factory growth slowed again last month, with the key electronics sector contracting further amid a weakening of the outlook for the sector globally and the fallout from the trade dispute between the United States and China. The report by the committee of experts appointed to review the Singapore FTA has brought certain facts to light. Former NTUC Income chief executive Tan Kin Lian has slammed national healthcare insurance schemes MediSave and MediShield as being “confusing and messy” as he called on the Ministry of Health to eliminate caps on medical procedures and offer better support to members facing huge medical bills. A Singaporean activist was found guilty Thursday of organising an illegal protest after holding what he called a “harmless” public discussion in 2016 that featured Hong Kong democracy campaigner Joshua Wong speaking via Skype. Yahoo Poll: With resale flat prices down, will you be looking to buy one? Prices of resale flats in Singapore fell 0.9 per cent in 2018, according to flash estimates released by the Housing and Development Board (HDB) on Wednesday (2 January). The foreign ministers of Singapore and Malaysia will meet next Tuesday to discuss the airspace dispute that has been lingering between them for the past weeks. Punters queueing up to buy Toto tickets at the 7-Eleven outlet at Block 102 Yishun Avenue 5 yesterday. Last night, a single punter won the Group 1 cascade draw prize of $9,731,377. The winning ticket was sold at FairPrice Changi Business Park Hypermarket. Investment Research is maintaining “neutral” on the local residential sector after Singapore home prices posted their first decline in six quarters, according to recent Urban Redevelopment Authority (URA) flash estimates. Tesla Inc.’s Elon Musk reiterated that Singapore has been “unwelcome” to the company, doubling down on his previous assertions that the government isn’t supportive of electric vehicles. The number of Housing Board flats that changed hands last month was 23.9 per cent lower than in November, a bigger fall than a year ago, flash data from real estate portal SRX showed yesterday. Ascendas-Singbridge Group has acquired a 12.2-acre site in Chennai for an undisclosed sum from GSquare Group, making it Ascendas-Singbridge’s sixth property in the city. Whenever six-year-old Arielle Soon returns home from her childcare centre, she immediately whips out a piece of paper and pencil and starts doodling. Another day, another substanceless soundbite from a government rapidly running out of ideas. Yesterday it was Singapore’s turn to have its day in the sun. Despite the recommendations of the Committee of Experts (CoE) appointed by President Maithripala Sirisena to revisit the Sri Lanka-Singapore FTA, Development Strategies and International Trade Minister Malik Samarawickrama insisted the Government is going ahead with it. Bath and body product retailer Crabtree and Evelyn will be shutting its 12 stores here in the coming months as it moves its operations online, with some outlets already emptied of goods. hen Black Panther hit cinemas in Singapore early last year, Cristelle Mouyelo decided there was only one way to celebrate the big screen debut of the first mainstream African superhero – she and her family headed for the movies dressed up in African garb and a bit of face paint. SingPost will launch a set of zodiac pig stamps on Friday (Jan 4) to usher in the Year of the Pig. REAL estate investment trusts (Reits) are doing well, as investors take cover behind yield plays. There is currently some US$24 trillion ($33 trillion) in sustainable investing — or investment strategies that take into account environmental, social and governance (ESG) standards while earning returns. The amount under management represents nearly one-third of the total value of stocks traded on the world’s major stock exchanges last year. When Singapore’s government said it would exhume about 4,000 graves in the defunct Bukit Brown cemetery for an eight-lane highway, an unusually vocal campaign grew quickly to save one of the last remaining artifacts of the past in the modern city. EMS Energy, whose shares have been suspended three years ago, could have finally resolved its business viability issues through the proposed reverse takeover of a Vietnamese ship repairer. It has been two years since the British talked about the fantasy that is UK emulating Singapore post-Brexit — and they are still at it. Even as bike-sharing company Ofo faces cash flow problems, it must continue to ensure that it has enough bicycles for its users in Singapore, said the Consumers Association of Singapore (CASE). These five blue chip companies have grown their dividends by at least 20% in the last five years. Should You Fall In Love With Glamour Stocks? The excitement and thrill associated with glamorous stocks may be tough to avoid. Here are more worst-performing Straits Times Index (SGX: ^STI) companies in Singapore in 2018. The Singapore branch of international sports agency MP & Silva is set to be wound up after being placed in provisional liquidation. A quick look at how Keppel Corporation Limited (SGX: BN4) generates revenue. Offshore and marine engineering company EMS Energy has entered into a binding memorandum of understanding (MOU) to acquire a 52.76 per cent stake in Vietnamese shipyard Nosco Shipyard Joint Stock Company for an expected $16.6 million in shares. 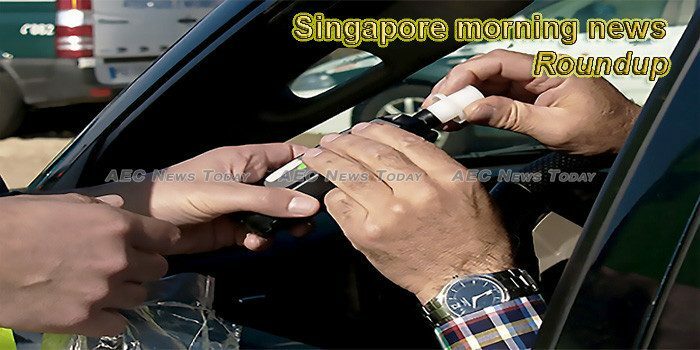 This week’s Singapore morning news feature photo focuses on the death, pain, and loss that typically occurs at this time of year on Asean roads due to drunk driving, speeding, and a failure to wear protective helmets when travelling on motorbikes.